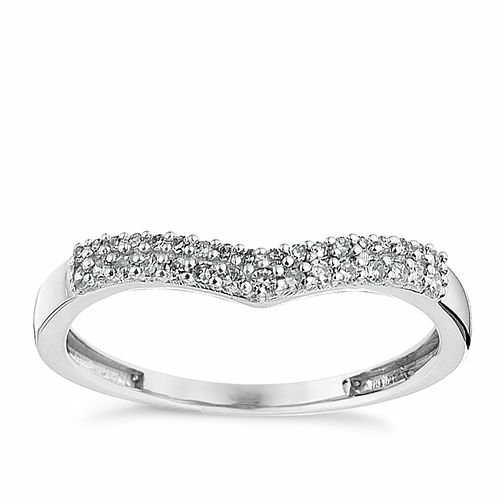 9ct White Gold Shaped Diamond Ring is rated 2.3 out of 5 by 25. Rated 1 out of 5 by Anonymous from DONT BUY Bought this as my wedding ring, and within 3 months 2 stones fell out, had to have a replacement so haven't even got my original wedding ring. 3 months later another stone falls out on the new ring, gets repaired, and shock another 4 months. It happens again! Absolutely Disgusted with the quality and completely heartbroken as it's my wedding ring.